A fierce but friendly competition in the country’s oil industry has become the norm since the passage of Republic Act 8479 also known as the Downstream Oil Industry Deregulation Act of 1998 with investments of more than P241 billion infused by around 284 oil industry players. New and even the old players have to to find ways to be ahead of the competition amid rising oil prices and emerging trends in the fuel business such as the entry of the electric vehicle. Despite the rise of EVs, the fossil fuel industry sees a silver lining in the fact that car sales will double to 2 billion by 2040, analysts said. An Asian car boom is shaping up, sparked by great demand from China which forecast vehicle ownership ratio at 300 vehicles per 1,000 people. In the Philippines, the shift to electric vehicles is unlikely to take place as fast as government wants, which means a great number of vehicles will still rely on gasoline and diesel. But local oil players are not being complacent to avoid being caught flatfooted when the shift to electric or hybrid cars is revved up. For Chevron Philippines, Inc., which markets the Caltex brand, staying ahead of the competition means improving fuel range by investing on new technology. 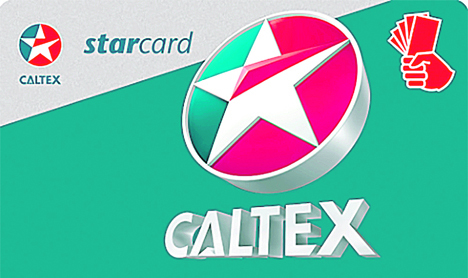 ‘’Caltex fuels has been synonymous with Clean fuels since we introduced our technologically advanced and exclusive Techron fuel-cleaning additive in 2006. Just two years ago (2016), we launched our new and improved Techron fuels with Clean and Glide Technology. It is designed with friction modifiers that keep engines clean, giving motorists superior reliable performance,’’ Raissa Bautista, CPI manager for Policy, Government and Public Affairs. Pilipinas Shell Petroleum Corp., the country’s second-biggest oil company in the country has also been innovating and investing in new fuel technologies. ‘’In the last two years, we have reformulated our entire fuels line, with our proprietary Dynaflex technology designed to deliver even better on efficiency,’’ Shell said when asked for comment. Rival Phoenix Petroleum Philippines also upgraded its fuels’ powered with Phoenix PULSE Technology as the company always tried to its game as it positions itself as a credible and preferred new brand. ‘’Phoenix PULSE Technology is a fuel additive with advanced cleaning and protection properties for enhanced power and acceleration. This makes our fuels at par with our competitors’’ best, but offered at a better value. Motorists now have access to high-quality and high-performance fuels, allowing them to boost their drive but not their spending’’ said Phoenix Petroleum vice president for external affairs Raymond Zorrilla. 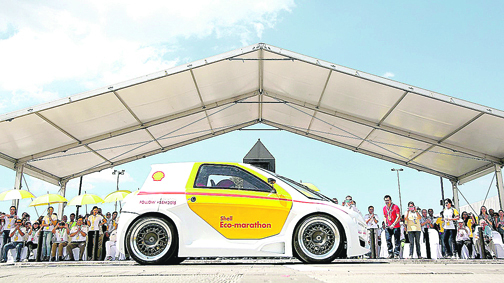 Pilipinas Shell strives for fuel efficiency. 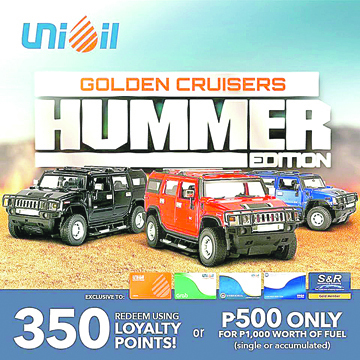 Unioil Petroleum Philippines also believes in offering the Filipino motorist the best products and refueling experience. It does this by offering ‘’best in class’’ Euro 5 fuel products available in all its gasoline stations. ‘’Unioil’s Euro 5 fuels gives you better engine performance, promotes longer engine life and gives you the opportunity to reduce harmful engine emissions to the environment’’ the company said. Oil companies are also looking at opportunities in the opportunities in the emerging EV space in the country today as the trend moves towards low emission or zero-emission fuel vehicles. Unioil said that as the nation progresses, the demand increases for the mobility of goods, services, and personal transport increases and currently, the cheapest and most readily source of energy to power this need for mobility is still petroleum-based fuels. ‘’As a cleaner alternative, the local consumers are waiting in anticipation for the entry of competitively priced electric vehicles in the local market. To spur importations on a commercial scale, the EV manufacturers and importers are eagerly waiting for the government to issue the implementing rules and regulations (IRR) to avail of importation tax incentives provided for electric vehicles under the new 2018 TRAIN Tax Law’’ Unioil said. Unioil, however, said one particular concern of Filipino consumers who are considering to purchase EVs is the lack of conveniently located EV re-charging infrastructure network available in the country. ‘’To this end, Unioil has been very supportive of the early adoption and transition of the Filipino motorists to electric vehicles’’ it said. To date, Unioil said it is the only oil company in the country that has actually installed and opened electric vehicle charging stations conveniently located inside their gasoline service station. Unioil opened its first EV charging station in September 2017 at Unioil Congressional Extension, Quezon City. Unioil’s second EV charging station (equipped with a ‘’fast charger’’) opened last June in EDSA, Guadalupe, Makati City and is capable of safely and conveniently recharging most Japanese, European and US branded e-vehicles. Bautista said Chevron is also looking at opportunities in the emerging EV space but believes consumers will dictate offerings in the stations. Promotional gimmicks rev up sales of Unioil. ‘’Chevron is working with EV charging partners to provide ‘’Test & Learn’’ EV charging pilot sites at several company-operated stations in the United States by early 2019. Ultimately, consumer preferences will determine the offerings at Chevron branded retail stations’’ Bautista said. Oil industry players are also continuously investing in its retail station network and have started putting up bigger and better one-stop shop/convenience stores to attract customers. ‘’Because we recognize that our customers’ needs go beyond just refueling, we have made it our priority to ensure that we provide a wide range of Retail offers at our stations. We are aware that with the trend of increasing need for convenience and healthy options, there is clamor in the market for high-quality products that are accessible yet affordable. With this, we aim to cater to the needs not just of vehicles but of every driver and motorist, to make their life’’ journeys better Shell said. Shell said it continues to expand its retail network, with focus on building more vehicle servicing facilities (via Shell Helix Oilchange+ and Shell Helix Service Centers) and convenience stores. ‘’We are looking to accelerate growth for Shell Select, having launched various formats like food trucks, cafes, and standalone stores, as well as exciting new food and beverage options such as our own branded coffee and fresh juices to name a few’’ the company said. Bautista says Caltex’s tie-ups with non-fuel brands offering various goods and services complement the fuel needs of our motorists. For instance, the 100+ 7-Eleven convenience stores at Caltex sites satisfy the growing customer demand for convenience, provide a complete, consistent and high quality offers with ‘’ready to eat food’’ to consumers. ‘’Additionally, these stores provide additional revenue to our Caltex retailers which help ease the high cost of running any business’ the official said. While Unioil does not have its own branded convenience stores, the company believes that convenience retailing, especially with the growing traffic problem, provides convenience and synergy with its fuels retailing business. It has some international branded convenience stores co-located in selected Unioil gasoline stations. Some of Phoenix stations have convenience stores, restaurants, coffee shops, ATMs, and other services as the company aims to provide motorists convenience when travelling. Phoenix also updated the look of its stations to a new, sleek design and is expanding to more sites nationwide in key locations, so it can be closer to where the customers are. ‘’Today, our company itself is more than a gas station. We have ventured into LPG with the Phoenix SUPER LPG brand, convenience stores with our acquisition of Philippine FamilyMart, and other new businesses’’ Zorrilla said. Chevron, like other companies, have also implementing loyalty programs and provide better service to retain and increase its customer base. ‘’Since 2014, Caltex has also partnered with the leading loyalty programs in the Philippines to give superior value to the Filipinos. Both Happyplus and Robinsons Rewards members are rewarded with added value for their repeated fuel-ups at Caltex stations. Both are highly recognized national loyalty programs of Jollibee Food Corporation and Robinsons Retail Holdings’’ Bautista said. Shell, for its part, make sure its facilities like toilets and lounges are well-maintained. ‘’We partner with the best institutions, like banks and other retailers and service providers to give our customers a rewarding, worry-free experience with every visit. We also exert a lot of effort in making sure that our business model is sustainable, as we continue to integrate alternative energies and more ecologically-sound materials sourcing throughout our value chain’ Shell said. Bautista said that since the passing of RA 8479, the country has seen the tremendous growth of the downstream oil sector. ‘’Competition has paved the way for more fuel choices and other marketing opportunities to the motorists. There are no real barriers to the entry of new players and this is where we need to be continuously vigilant about strict compliance on fuel specifications, biofuels, taxes, safety, and other standards. To ensure the sustainable growth of the oil industry that ensures a level playing field, a collaborative relationship with the government by the industry is crucial’’ she said. Unioil said the future for the downstream oil industry is generally positive given the projected increasing demand locally for automotive fuels. ‘’Notwithstanding the expected increase in local competition, Unioil will continue its efforts to strengthen its market position by gaining the patronage and loyalty of its target market with ‘’best in class’’ Euro 5 fuels, competitive pricing, superior promotions, loyalty card benefits and fulfilling its brand promise to provide you with the best re-fueling experience from our Unioil stations’’ Unioil said. Phoenix said the Philippine economy is growing, and demand for oil continues to grow and the company is confident of the company’s future in the industry. ‘’Our company has a clear vision - to be an indispensable partner in the journey of everyone whose life we touch. We have built a professional organization, and our entrepreneurial spirit makes us always on the lookout for opportunities’’ Zorrilla said. He said that Phoenix is looking at first bridging the gap from today and to the energy solutions of the future. ‘’With our new LPG business, we see LPG or Auto-Gas as a viable and credible alternative to bridge the transition from the conventional fuels we use today to the electric vehicles of the future. Autogas, or LPG for vehicles, is readily available, affordable, and eco-friendly, making it a viable energy source and one of the best alternatives to fuel today’’ the official said. ‘’As the country takes steps towards transitioning to other energy sources, we are looking at autogas as a dependable partner for motorists, both for private and public vehicle operators’’ Zorrilla said. 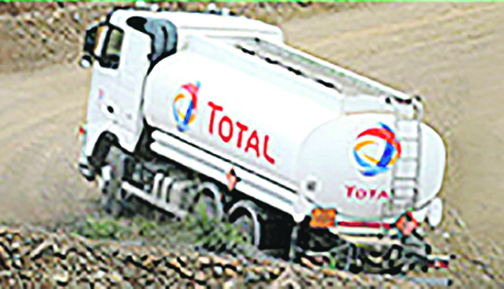 Total is aiming for a low-carbon strategy. TOTAL, the 4th largest international oil company, the 2nd player worldwide in LNG and with strong positions in solar power is well-positioned to spearhead its low-carbon energy strategy, according to the company chief communications officer Ma. Lourdes Espina. In Europe and other mature economies, Total is laying the groundwork for clean energy infrastructure. Currently, we have a network of more than 500 natural gas vehicle fueling stations worldwide. There are ongoing developments for the installation of 1,000 ultra-fast EV-charging points in our stations across Europe. Plans are also underway to install 350 NGV fueling sites in Europe by 2022 following the recent acquisition of PitPoint. In developing economies such as the Philippines where the shift to EVs is at a slower pace, Total says it will continue to actively promote fuel economy. We also invest in fuel and lubricants technology to develop better products that are providing car engines with better performance and lower fuel consumption and eco-solution labeled lubricants. Part of the Total strategy is to transform Total service stations into One Stop Shops that offer a comprehensive line of services for motorists and commuters alike. With over 16,500 service stations serving 8 million customers in 65 countries every day, our goal is to improve our customers‚Äô refueling experience every time they visit our station and to offer customized solutions in each market, Espina said. Our customers don’t just come to our stations to refill their gasoline tanks. They enjoy our coffee and treats, dine in our restaurant locations, have their car serviced, pay bills or top up their RFID card in our payment & reloading machines. Selected Bonjour shops now also offer a variety of healthy meals and snacks to cater to a growing number of health-conscious customers. 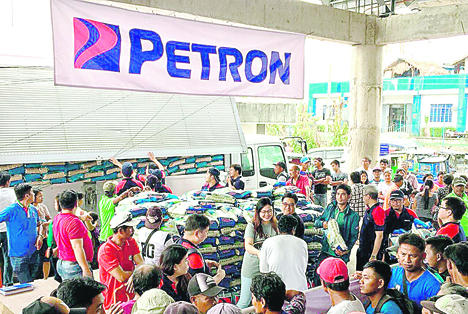 Petron has allotted a substantial amount for its CSR activities. Satisfying the energy needs of a growing world population, providing low carbon solutions, and adapting to changing customer behaviors are the three challenges that Total intends to meet over the next 20 years. As a company committed to better energy, Total is engaged in providing affordable, reliable and clean energy to as many people as possible. “We continue to invest in conventional sources of energy, such as Oil & Gas because these resources will remain at the center of the world’s energy needs. As a Group, we have extended our activities to renewables and increased our presence in low-carbon energies which will account for nearly 20% of our portfolio by 2035. Today, Total offers a diversified energy mix through our investments in natural gas, renewables such as solar and biofuels, and batteries. Since 2011 Total’s access to energy program has brought affordable and low-carbon solar solutions to 10 million people in 40 countries, with 2.3 million solar lamps and kits sold. “We are also committed to reduce our carbon footprint internally and have dedicated programs in all branches to optimize the energy efficiency of our facilities. In our retail business, a global program is underway to equip 5,000 of our service stations with solar panels within five years. Here in the Philippines, the TOTAL Alabang station has already been installed with solar panels with more stations in the pipeline.